This new law is a good thing. The fact that it took until 2018 to enact it is unimpeachable proof of how racism is baked in to every crevice of this country. Hell, racism is the defining feature of this country. If you are the type to say that “America is better than this” in response to the litany of heinous crimes committed by the Trump administration, how do you square that stance with this reality? There is today one state in which at least weak beginnings toward a better conception [of immigration] are noticeable. Of course, it is not our model German Republic, but [the US], in which an effort is made to consult reason at least partially. By refusing immigrants on principle to elements in poor health, by simply excluding certain races from naturalisation, it professes in slow beginnings a view that is peculiar to the People's State. The Nazis were not wrong to cite American precedents. 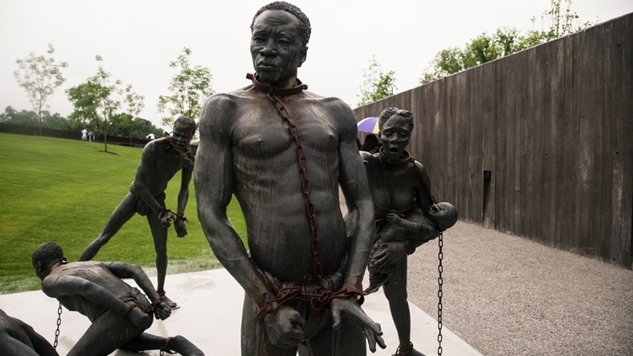 Enslavement of African-Americans was written into the U.S. Constitution. Thomas Jefferson spoke of the need to “eliminate” or “extirpate” Native Americans. In 1856, an Oregonian settler wrote, “Extermination, however unchristianlike it may appear, seems to be the only resort left for the protection of life and property.” General Philip Sheridan spoke of “annihilation, obliteration, and complete destruction.” To be sure, others promoted more peaceful—albeit still repressive—policies. The historian Edward B. Westermann, in Hitler's Ostkrieg and the Indian Wars (Oklahoma), concludes that, because federal policy never officially mandated the “physical annihilation of the Native populations on racial grounds or characteristics,” this was not a genocide on the order of the Shoah. The fact remains that between 1500 and 1900 the Native population of U.S. territories dropped from many millions to around two hundred thousand. America's knack for maintaining an air of robust innocence in the wake of mass death struck Hitler as an example to be emulated. He made frequent mention of the American West in the early months of the Soviet invasion. The Volga would be “our Mississippi,” he said. “Europe—and not America—will be the land of unlimited possibilities.” Poland, Belarus, and Ukraine would be populated by pioneer farmer-soldier families. Autobahns would cut through fields of grain. The present occupants of those lands—tens of millions of them—would be starved to death. You are likely reading this article on stolen land. Our American ancestors came to this country and slaughtered millions of Native Americans, then enslaved millions of Africans in the name of exploiting stolen land for financial gain. This is the foundation our economy is constructed on. The federal government enacted a litany of policies over the years—like redlining in the 1930s—that explicitly made life more difficult for African Americans. In many ways, we are still an apartheid state, and the fact that it took 242 years to enact a federal anti-lynching law is unimpeachable proof of our nation’s depravity. War crimes in the name of racism have been legalized time and time and time again throughout America’s history. In Korematsu v. United States, the Supreme Court ruled that interning over 100,000 Japanese Americans in concentration camps during World War II was constitutional. Dred Scott v. Sandford affirmed that slaves could not be American citizens. Plessy v. Ferguson upheld the constitutionality of “separate but equal” laws. There is an endless stream of Supreme Court decisions throughout our history that affirmed the legality of the crimes against humanity which the Nazis said inspired them. The rise of white nationalism that we are presently witnessing is not an aberration, but a modern rebirth of our sordid history. It’s no coincidence that the federal government did not have a law on the books criminalizing lynching, because the federal government explicitly endorsed that kind of terrorism—and given that we currently jail more people than Joseph Stalin did at the height of his barbarity (not a higher percentage—more people, period), it’s fair to suggest that it still does. As the saying goes: This is America. The fact that we’re just getting around to a federal law criminalizing lynching is proof of how far we still have to go in order to reach our stated ideals that we have never lived up to.